Much has changed at Manchester over the last two years with 2009 seeing over £80m of improvements unveiled across the three terminals with retail areas in particular seeing a massive overhaul and improvement. While this has involved massive changes to security and the internal infrastructure of the terminal, it has also provided the airport with a chance to revamp how it communicates with its passengers and staff, who work on site everyday, giving all users of the airport site a better understanding of information and opportunities. Dr Martin Smith is the Director of Group Technology & Innovation at Manchester Airport and has overseen a huge overhaul of public information displays at the airport. He said: “There’s a process that all passengers go through when they arrive at the airport. They need to find the right terminal, check in, get through security and into the departure lounge and then find their gate. That sounds simple but not all airports are the same and not everyone might speak the native tongue of the country they’re flying from, so our investment in flight information display screens (FIDS) and public information display screens (PIDS) has to take account of everyone’s different needs. The information screen investment in the terminals at Manchester now ensures that several are always within a few metres of wherever a passenger might be in the terminal, including in retail outlets. At check-in, Manchester has invested in flexible branding screens – large projection displays above each desk – which allow the airlines to relay information, but also allows the airport to switch airlines between check-in desks if need be. They can also carry individual marketing or customer information messages, which gives the three terminals enormous flexibility to market airline and airport services available in the airport complex. The availability and high visibility of FID screens was factored in to the terminal improvements early on. Airports have had to expand non-aviation related revenues, as everyone is well aware of, and we have a lot of retail outlets on site now. Most of those outlets have their own FID screens, or one just outside, which means passengers are never far away from an information point. Information is drawn from many sources. Within the landside areas of the terminals, information from the Highways Agency, providing latest traffic conditions on roads in the vicinity of the airport, and train and bus information, are displayed. In response to customer feedback, teams at the airport have successfully trialled and installed new touch screen kiosks across Manchester Airport. The kiosks provide passengers with information about their onward travel options, including step-by-step directions, hotel information, retailers and other facilities available. Feedback and usage figures have been really positive, with around 320 people using the kiosks each day, and over 2,000 pages being viewed. The airport has pioneered the use of Bluetooth monitoring to report the time spent by passengers from check-in to completion of the security search process. By collecting this data from Bluetooth, IDs on passenger mobile phones and PDAs, the airport measures how long passengers are taking through the process, and recognises where extra resources need to be deployed during busy periods to maintain a good passenger experience. It has enabled the airport to replace older and more manual measuring systems with an automatic method of obtaining passenger queuing and dwell time. It gives the airport a chance to predict trends and plan more strategically in the long term. Additionally, the airport is using social media to communicate with passengers on public screens within the terminals. A recent global survey ranked Manchester Airport as the World’s number one airport on Twitter. 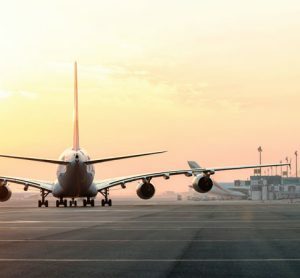 Airport social media firm AirGate Solutions, found that there were currently 143 airports in the world using Twitter as an official passenger service, and that Manchester topped the list as the most active and engaged of them all. 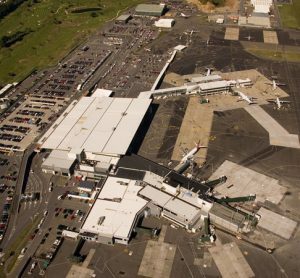 The airport has been using Twitter since February 2009 and has found that the system has proved most useful during incidences of transport disruption that were witnessed during the Winter at the end of 2009 and the Volcano episode of April and May 2010. The stream gives us a chance to communicate with an audience that we might not have traditionally had the opportunity to speak to. Ofcom’s Communications Market Report of 2009 found the proportion of 25 to 34-year-olds who said they had a social networking site profile grew by six percentage points in the space of a year to 46%. Figures had also risen in the 35 to 54-year-old age group, with 35% having a profile. Our work on Twitter has given the airport a way of communicating directly with passengers either in the terminals, on their way to the terminals, or just con – sidering options for the holiday season. Many users are able to update their status and receive messages via their mobile phones and this is an area that the airport is keen to develop further. The original thinking around developing Twitter as a public information channel was to highlight the work undertaken on the terminals and support the retail marketing campaign, but as the airport began to use it, it became more of a customer service tool. The stream had been wrapped around the live flight data information that is already offered on the website and via SMS. This way, users merely have to direct message their flight number and they get updates every time the status of their flight changes. In June 2010 the airport also launched an iPhone application, which has proved a very popular download from the Apple App Store. The app makes use of the user friendly touch screen of the iPhone to provide rapid access to flight information, car park booking and a ‘walk through’ schematic of each terminal showing services, shops and other useful information. The iPhone App is averaging about 2600 downloads per week from countries as far away as Canada. The use of PIDS is even extending into staff areas, with an internal network of screens showing airfield operations, covering the latest information on internal communications and the use of the Twitter stream to ensure that the 20,000 people who work on site everyday are aware of what is going on at the airport everyday.